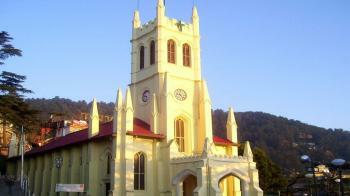 In the state of Himachal Pradesh, India there is one of the most famous tourist destinations known as Christ Church. This Chruch is located in the district Shimla. In the North India Christ Church is a second oldest chruch. The first oldest Chruch is St John Chruch which is located in Meerut. This place if preferred by the God lovers,Photographers. There is no entry fees. People can spend 1 hour in this place. The Church can be seen in some of popular movies like Black and 3 Idiots. Christ Church is situated on The Ridge. The church contains five stained glass windows which represents the Christian virtues of Faith, Hope, Charity, Patience, and Humility. Kangra Fort is an ancient fort situated in Kangra district in the state of Himachal Pradesh. 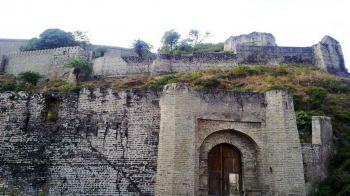 The fort is also known by Nagar Kot Fort. The entry to the fort is through the courtyard enclosed between the two small gates which was built during the sikh period. After the entrance there is long and a narrow passage leads to top of the fort through the Ahani and Amiri Darwaza. About 500 feet from the gate there is a sharp angle turn which passes through the Jehangiri Darwaza. The Darshani Darwaza which is inflanked with the statues of River Goddesses Ganga and Yamuna gave access to a courtyard, along the south side of which stood the shrines Lakshmi-Narayana Sitala and Ambika Devi. Kangra Devi Temple is an ancient temple situated in Kangra district in the state of Himachal Pradesh. The temple is dedicated to goddess Brajeshwari Devi or Vajeshwari Devi. The temple is also known as Mata Brajeshwari Devi Temple. Various invandors from the north raided this temple. The temple was completely destroyed in the year 1905 due to earthquake and was rebuilt in 1920. Goddess Brajeshwari is present in the form of Pindi. The present structure has three tombs in it, which is unique in itself. At the doorway of the temple there are two janitors holding staff in their hands. The marvelously carved pillars depict images of gods and goddesses of the Hindu Pantheon. 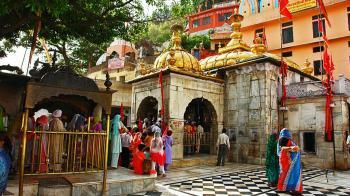 In the state of Himachal Pradesh, India there are number of religious places to visit. The one of the religious place is Chamunda Devi Temple in the Kangra District. This place is one of the Shakti Peethas in India. Himachali, Hindi and English languages are used in this place. The altitude of this place is 733 mt. Chamunda is famous for Religious and Scenic. This place is blessed with abundant natural beauty. Chamunda Devi Temple is famous Holy place for Hindus. Chamunda Devi is a 700 year old temple. Chamunda Devi temple is located in middle of charming beauty of lush green mountains. This place is covered by the beauty, breathtaking locations, rich flora and fauna and beautiful hills. The temple is dedicated to Chamunda Devi, who is a form of Shakti. Chamunda Devi Mandir is believed to be the home of ‘Shiva and Shakti’. So it is also known as 'Chamunda Nandikeshwar Dham'. During the time of Navratras, the temple is crowded by large number of people. The ideal duration of this place is 1-2 days. 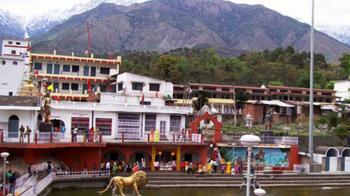 In the State of Himachal Pradesh, India there are number of religious places to visit. The one of the famous religious place is Chintpurni in the district of Una. This place is one of the Shakti Peethas in India. This place is surrounded by the western Himalaya in the north and east in the smaller Shiwalik range bordering the state of Punjab. Chintpurni is also known as Mata Chhinnamastika Devi Temple. Chhinnamastika temple is one of the seventh supreme Shakti peethas. The altitude of this place is 950 mt. Himachali, Punjabi, Hindi and English languages are used in this place. There are many number of places to visit in and near the Chintpurni. The city has been acknowledged as a major passage town for visitors going to the renowned city of Dharamshala or places such as Kullu, Jwalamukhi, Manali and Mcleodganj. This place is famous religious place. The picture of Mata Chintpurni Devi is placed in the form of a Pindi. Many number of Devotees come in this place every year. There are number of festivals are celebrate in this place. The most celebrate festival are Lohri, Holi, Diwali and Navratri. Jwalamukhi Temple is the temple of goddess jwalamukhi, the deity of flaming mouth. Raja Bhumi Chand Katoch of Kangra, a great devotee of goddess Durga, traced the site and built the temple at location. The temple is situated at south of Kangra. There are six different flames in the temple which are dedicated to 6 different goddess. 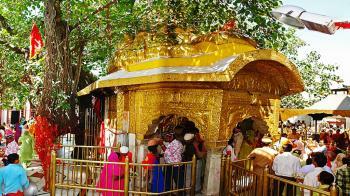 Baba Balak Nath Temple is located in Deotsidh forest in the south of Hamirpur, Himachal Pradesh. The temple is situated on Dholgiri hills and is 4 km away from the base Shahtalai city. Baba Balak Nath is also known as Paunahari or Dudhahari. Baba Balak is the son of Lord Shiva. The temple is very big and the women are not allowed to go near to the cave as there is a different way to seek the blessings from Baba Balak Nath ji. During Navratras, there is a continuous stream of visitors to receive blessings of the Baba. 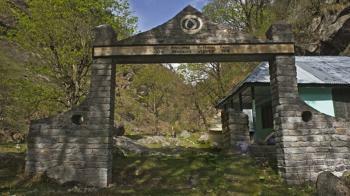 In the state of Himachal Pradesh, India there is place for visit known as Parwanoo. It is situated in the Solan District. Parwanoo is located 30 km from Chandigarh. There are many beautiful gardens in Parwaoo. Parwanoo is known for its beautiful orchards. Mostly all festivals are celebrated in this place. Some list of festivals are : Holi, Navratri, Lohri, Diwali etc. Parwanoo is gateway to Renuka Lake, Paonta Sahib, Pinjore, Kasauli in the Himachal Pradesh. The altitude of the Parwanoo is 10 m above the sea level. Hindi and Himachali Languages are used in Parwanoo. The Ideal duration of this place is 1 day. Parwanwoo has a moderate climate. Parwanoo is famous for its Nature beauty and religious places. In the state of Himachal Pradesh, India there is a national park for visit known as Great Himalayan National Park (GHNP). 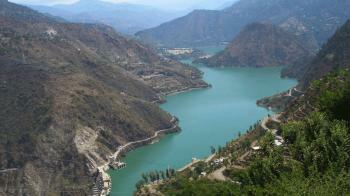 It is located 50 km from the Kullu. In the year of 1984 the Great Himalayan National Park was established but in the year of 1999 it was declared as a National Park. The national park covers the area of 1171 sq km.. There are 375 fauna species. These fauna includes 31 species of mammals and 181 species of birds etc. There are many types of animals and birds in this national park. 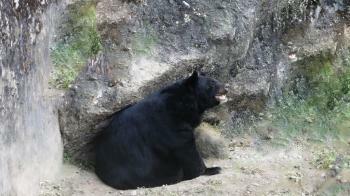 Some list of animals are : snow leopard, blue sheep, Himalayan brown bear, Himalayan tahr, musk deer, goral etc. and list of birds are : golden eagles, Himalayan griffon vultures, lammergeyers, raptors etc. These faunas are protected under the Wildlife Protection Act, 1972. Many types of Flora in this park are trees, shrubs, herbs etc. The park is also famous destination with trekkers. The altitude of this place is 1700 m above the sea level. In the year 2014, the park was added to UNESCO list World Heritage Sites. The committe granted the status to the park under "Outstanding Significance of Biodiversity Conservation". In the state of Himachal Pradesh, India there is a town known as Paonta Sahib. It is situated in the Sirmour district and located on the banks of the Yamuna river. Yamuna River is a boundary between the states of Himachal Pradesh and Uttarakhand. This place is important for the religious spot for Sikhs. It is believed that the tenth Guru Gobind Singh ji wrote the some portion of the Dassam Granth in this place. In the memory of Guru Gobind Singh ji a largest gurudwara built in this place. 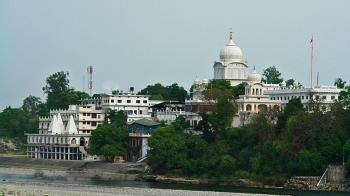 This gurudwara is known as Paonta Sahib gurudwara. This Gurudwara holds high religious importance to Sikhs. One devotee denoted the "Palki" which is made of Pure Gold. A temple is also attached with the gurudwara Paonta Sahib. This Temple is devoted to the Goddess Yamuna. The elevation of this place is 1276 ft. above the sea level. There are many industries in the town. Some industries are cement production, power generation and renewable energy, pharmaceuticals, Zee Laboratories, Textiles etc. In the state of Himachal Pradesh, India there is a city known as Rampur. It is situated in the Shimla District. Rampur is located on the left side of the Sutlej. Rampur is biggest town of the Himachal Pradesh. 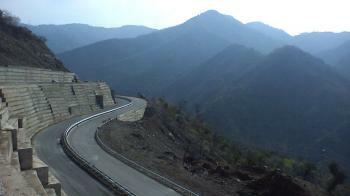 It is located 135 km from Shimla. This town is the business center of the Shimla. The elevation of the town is 3550 ft above the sea level. Rampur is the very beautiful place. Rampur falls along the trade route to Afghanistan, Ladakh, China and Tibet. This town was the center on these trade routes. Many fairs and places are the attraction of the Rampur but the Lavi fair is the major attraction of this city. This fair is the one of the biggest fair of the North India. This fair is held in the month of November in every year. This place is best place for outing as well as best place for shopping. Handspun woolen shawls and Rugs are the popular items in Rampur. Rampur is famous for the blankets and popularly known "Rampuri Chaddar". The blankets are known for their softness. There are many temples and the Buddhist shrines in this place. 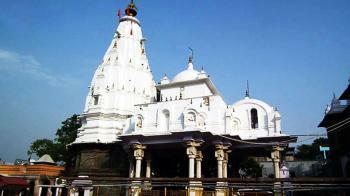 Rampur is also base point to visit Bhimkali Temple at Sarahan. 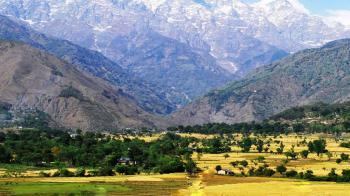 In the State of Himachal Pradesh, India there is a beautiful hill station known as Palampur. Palampur is situated in the Kangra velley. It is a small green hill station. Palampur is the Tea Capital of the North India. There are many temples in this place so this place is famous for its colonial architecture and temples. There are many Tea gardens and Peddy fields in Palampur. Palampur is situated 35 km from Dharamsala. The name Palampur derives from the word "Pulum" which means "Abundant water or Lots of Water". In the state of Himachal Pradesh, India there is a Hill Station for visit called Kufri. It is a Small Hill Station. Kufri is situated in the Shimla district. Shimla is the capital of Kufri. Kufri is located in the 13 km from Shimla. Kufri Place is founded in the year 1819 by the British. First Kufri was the part of the Nepal but the area was under the British Raj as the part of Sugauli Treaty. Kufri derives from the name "Kufr" which means "Lake". Kufri is poular for Trekking. It is best place for trekking. The altitude of the Kufri is 7510 ft. above the sea level. Kufri provides the natural beauty to visitors. Visitors enjoy the natural beauty of the Kufri. The Climate of Kufri is cool and pleasant. Its cool climate and natural beauty makes kufri a perfect summer gateway. Many festivals are held in Kufri. National Snow Statue Competition is conducted in this place. Annual Winter sports festival organized here. Skiing competition held in Kufri. These festivals are the major attraction of the Kufri for the visitors. In the Himachal Pradesh, kufri is the oldest place for Skiing. Kufri is the best place for Skiing. During the month of the January to March there is snows heavily at Kufri. The Ideal duration of this place is 1 day. Pahari and Hindi languages are used in the Kufri. In the State of Himachal Pradesh, India there is a desert mountain valley known as Spiti Valley. It is located in the high Himalaya Mountain. 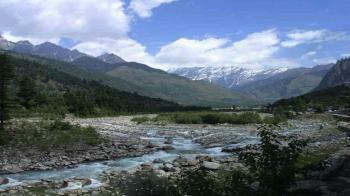 This Valley is popularly known as Little Tibet. Spiti means "Middle Land". It is bordered by Tibet in the east, Ladakh to the north, Kinnaur to the south east and Lahual and Kullu to the south. In other words the name Spiti means Land Between India and Tibet. Spiti Valley is situated at the height of 12500 feet from the Sea level. Spiti lies along the Himalayan river of the same name. 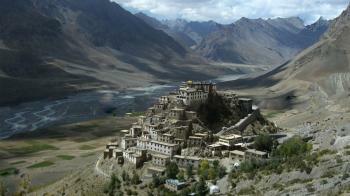 Spiti Valley provides natural beauty to visitors. Visitors can also enjoy the Trekking and Jeep Safari activities in this valley. 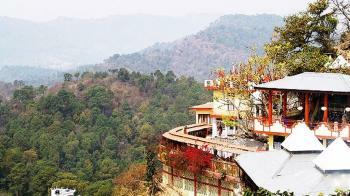 In the State of Hinachal Pradesh, India there is a beautiful place known as Kasauli. Kasauli is located in the Solan District. It is a small hill station. The name Kasauli derived from the flower named Kasool. In 1842 by the British Raj this town was established as a Colonial hill station. Kasauli is one of the best holiday place or hill station for outing. The height of Kasauli from the sea level is 1927 meters. Kasauli is 77 km from Shimla. Nature Beauty and its cool climate attracts many tourism every year. In the State of Himachal Pradesh, India there is a hill station known as Dalhousie. 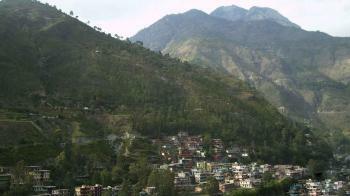 Dalhousie is situated in the Chamba District. The hill station is situated at the Western end of the Dhauladhar range of mountains. It is very beautiful hill station. Dalhousie is known for its pleasant climate and natural beauty. It is very famous hill station. Dalhousie is situated on 5 hills. The Elevation is 2000 meters above the sea level. After Lord Dalhousie the Dalhousie was named. He was founder of the town. Lord Dalhousie was the British Governor General in India. Dalhousie was established in 1854 by the British Empire's Government. dalhousie1This place also plays an important role in the economy of the state. From the Chamba hill state Dalhousie is the gateway. There are many temples in this place. The peak tourist season is May to September. There are many tourist places in this place. These places are Lohali village, Kalatop, Dainkund peak, Bakrota hills and Tibetan market. Hindi and Pahari languages are used in this place. Dalhousie is spread over an area of 14 sq km of area and it includes five hills. In the state of Himachal Pradesh, India there is one of the most famous tourist destinations known as Shimla. 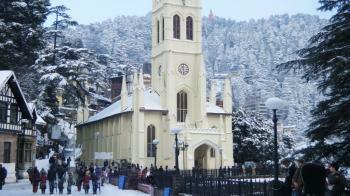 Shimla is also a capital of Himachal Pradesh and it is the Largest City of the Himachal pradesh. Shimla is also known as Simla. It is beautiful and popular Hill Station. This hill station derives its name from "Goddess Shyamla" who is supposed to be an avatar of Goddess Kali. Shimla is famous for its Mall road, the Ridge, toy train etc. Shimla is situated at the height of 2200 meters. Shimla was 'discovered' by the British. 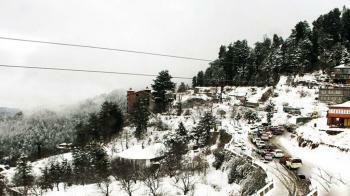 Shimla was declared as the Summer capital of British.